So today I tried to unlock my screen and it was completely black. Holding down the volume up and power buttons eventually caused the screen looked like the attached picture after a couple hours of trying. Is there some way to fix this? This is also exactly what happened with my last BLU phone (BLU Life One). Would something I have done (like drop it, say) do this, or what? Both times when this happened I just took my phone out of my pocket and the screen looked like that, so it's really weird. Maybe by having the phone in your pocket you're bending (possibly damaging) the screen. That's the best I could come up with as well, although I don't imagine that I put any more strain on it than would be expected. Especially today since I was standing for a few hours beforehand. Do you have any ideas as to how it could be fixed, if at all? Seen too many phones with bad screens on this forum and many don't suspect its because they carry it in their pocket. Doesn't take much to put pressure on a thin, rigid device. You could try taking it to a repair shop but it might cost more than a new phone, with labor and all. Replacing a screen is not an easy task and sometimes it just makes matters worse, especially if you try to do it yourself. This phone seems like a mid-range phone and I can't even find a seller for it even though it's a 2016 phone. Surprising! In any case, it might be best to just invest in a new phone. And... get a belt clip hip case for it. I don't like to show this too often, but this is what I carry my Note 4 in... for 19 months already. You can't buy this as I make them myself, but any belt clip case would be better than carrying in the pocket. 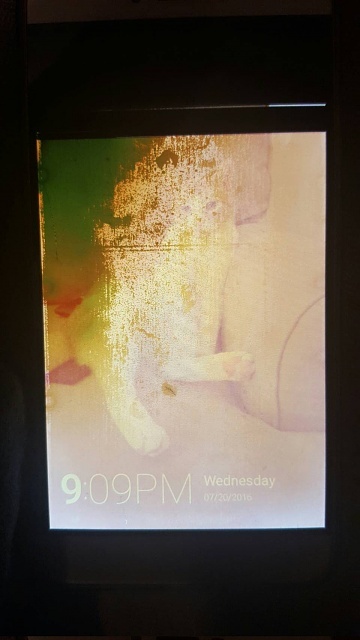 How do I fix my phone when the screen goes black?